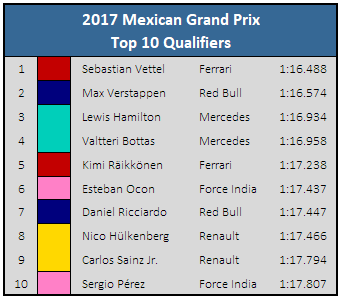 After Max Verstappen had set a new track record during Free Practice 3, he had looked like the favorite to put it on pole position during the final Saturday qualifying session of the 2017 Mexican Grand Prix. That would have made him the new youngest pole sitter in Formula One, but the current record holder—Sebastian Vettel—wasn’t about to relinquish that title just yet. During the final shootout, which typically involves the top 10 drivers making two attempts at setting the fastest lap, it was Verstappen who topped the leaderboards when the cars went back to the pits for a fresh set of rubber—and by a large a margin. Vettel would need to find over a quarter of a second to top the 20-year old Dutchman and no other driver seemed close enough to have a chance. Ultimately, as he has done so many times before, Vettel dug deep and managed to string together a stupendous lap to beat Verstappen—who had been unable to improve on his initial time—taking his 50th career pole position by less than a tenth of a second. Behind them, their teammates were unusually slow. Räikkönen was three-quarters of a second slower than Vettel while Ricciardo, who had throughout the season been very evenly matched with Verstappen in qualifying, was down by nearly a full second. Lewis Hamilton, Vettel’s rival in the championship, will start outside of the front row for only the sixth time this year, but that isn’t likely to keep him awake at night. 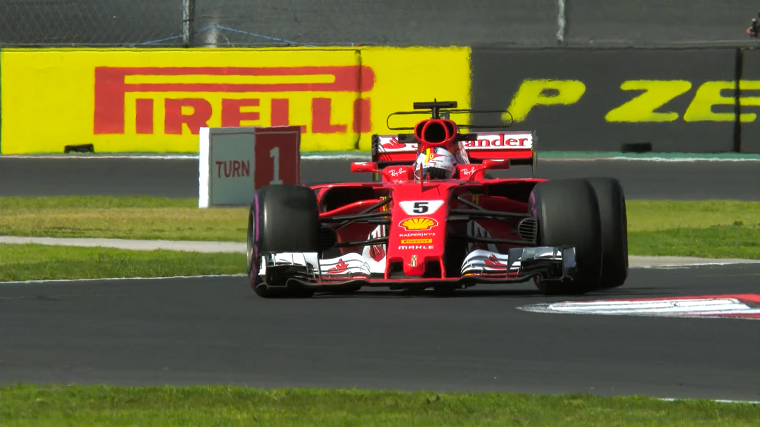 Even if Vettel goes on to win the race tomorrow, Hamilton only needs a fifth-place finish or better to clinch the 2017 World Drivers’ Championship at the Mexican Grand Prix. Buying vs Renting: Which should you do?